Fortnite: Battle Royale isn't just a game anymore—it's a cultural phenomenon. Like it or not, as with most free-to-play games, how your character looks in game is a big part of that culture. Thanks to the fantasy setting of the game, the skins can be as weird and wonderful as Epic Games can imagine. And so far, they've been pretty weird. From Olympic skiers, to superheroes, to terrifying gingerbread people, Fortnite's skins are a colorful and eye-catching array of crackpot ideas. Skins are only available as Battle Pass rewards or through V-Bucks, which, unless you play Fortnite's PvE Save the World, are only available when bought with real money. Since the game is free, that's how it makes money—and so far a lot of it. In April, the game brought in nearly $300 million in revenue. Skins aren't always available either. The shop changes every day, with some event skins gone for good after a certain period. So act fast if you want to get something that catches your eye. If you're having trouble deciding which skins are for you, then here are some of our favorites that have been released so far. Brite Bomber isn't too crazy, it's just a cool outfit. From the pink hair to the unicorn graphic, this is a strong look to wear into the battlefield—but not one that's going to get a ton of attention. Still, it's only 1,200 V-Bucks on the Item Shop, and Brite Bomber regularly appears for sale, making this a solid choice. Is this a Halloween costume worn all year round? Some kind of dino furry subculture that exists in Fortnite? We're not sure. But Rex, or "Reptar" as fans call him, is one of many highly detailed Legendary skins that rotate into the Item Shop periodically. 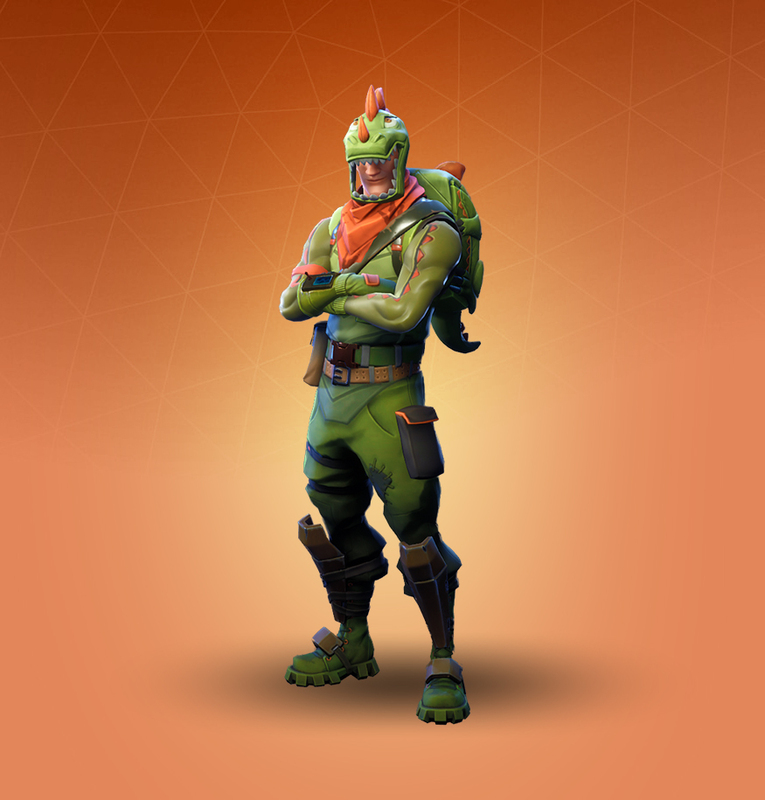 Rex's dinosaur-like backpack "Scaly" is also a fun Back Bling to add to other skins. 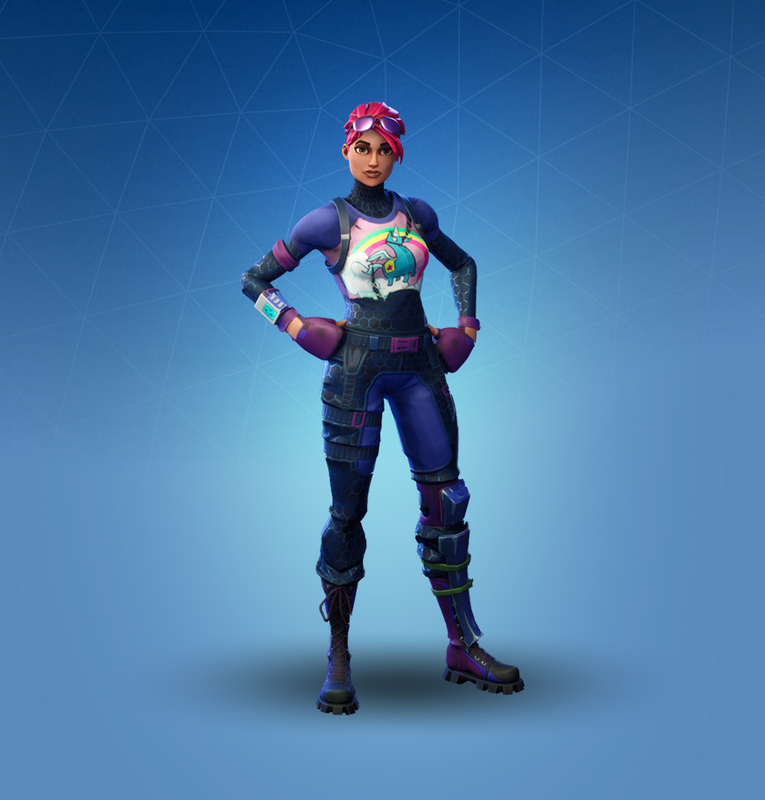 Sparkle Specialist is a great go-to skin. Once again, the detail is great. The tattoos on the arms, the makeup, the gloves—this is a look. 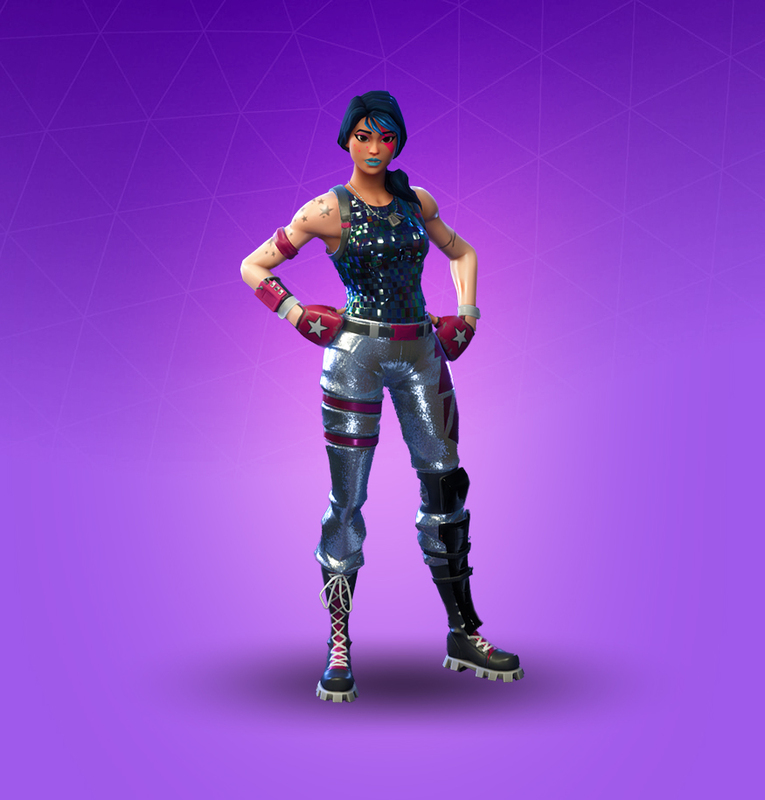 Of course, if you haven't received Sparkle Specialist yet, you probably won't be able to: She was a Tier 56 reward as part of the Season 2 Battle Pass. 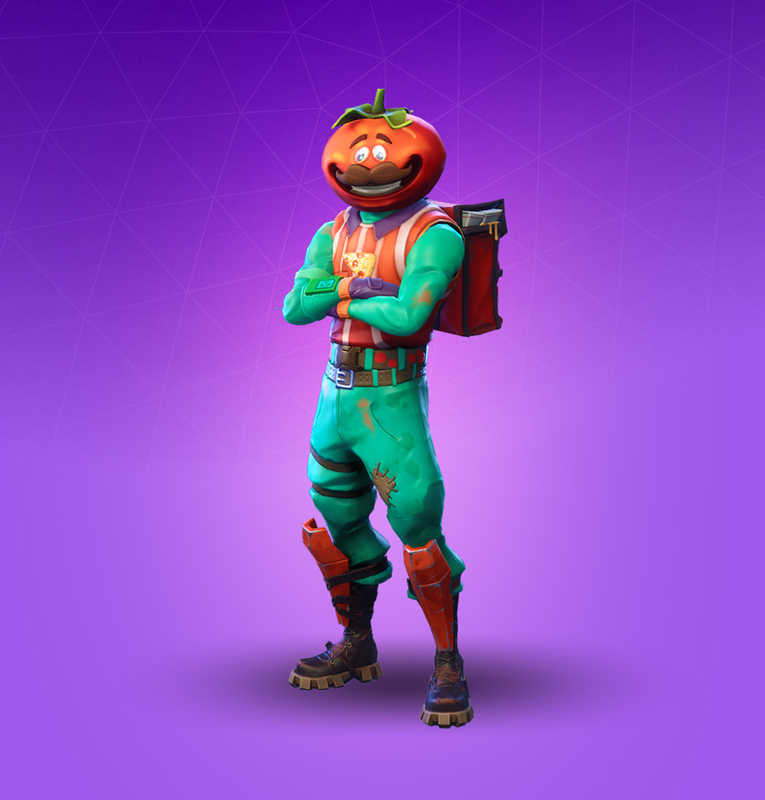 Tomatohead is probably the buffest delivery guy you've ever seen. Not only has he got muscles to show, he's also wearing sturdy boots and shin guards—so anyone who tries to mug him for his tips is in for a surprise. The Special Delivery Back Bling is one of the best as well—you can turn any skin you like into a delivery boy. 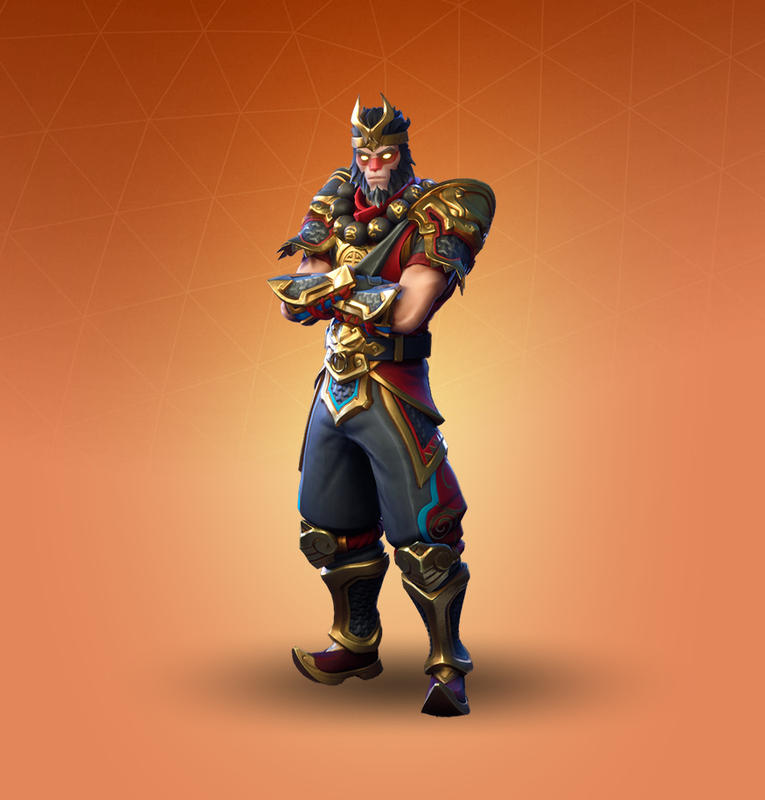 Wukong is one of those skins that makes the prospect of Fortnite lore enticing. How Sun Wukong from Chinese mythology end up in this bizarre world? No one knows. Nevertheless, the detail here is really impressive. Epic isn't just tossing these skins out—there's a lot of care and attention that especially goes into these Legendary skins. E.L.F looks exactly like the sort of guy you'd want to be your buddy. 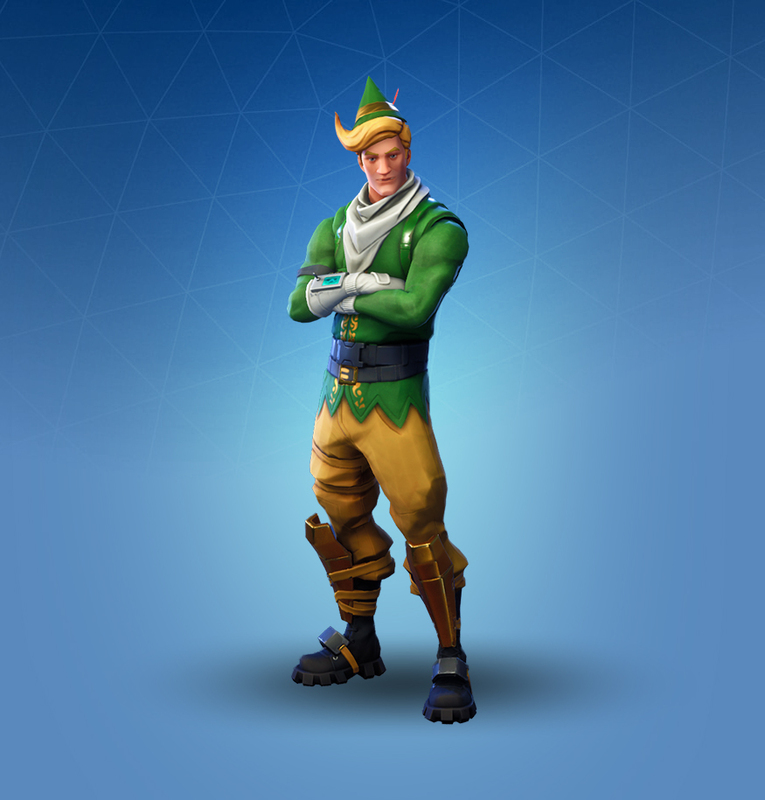 This was part of the Christmas 2017 skin set, so who knows if it will ever return. But if you got it last year, you know you're going to whip it out again when it gets cold enough outside to show off. Meanwhile, if it does come back for this year's holiday season, expect to buy it for 1,200 V-Bucks from the Item Shop. 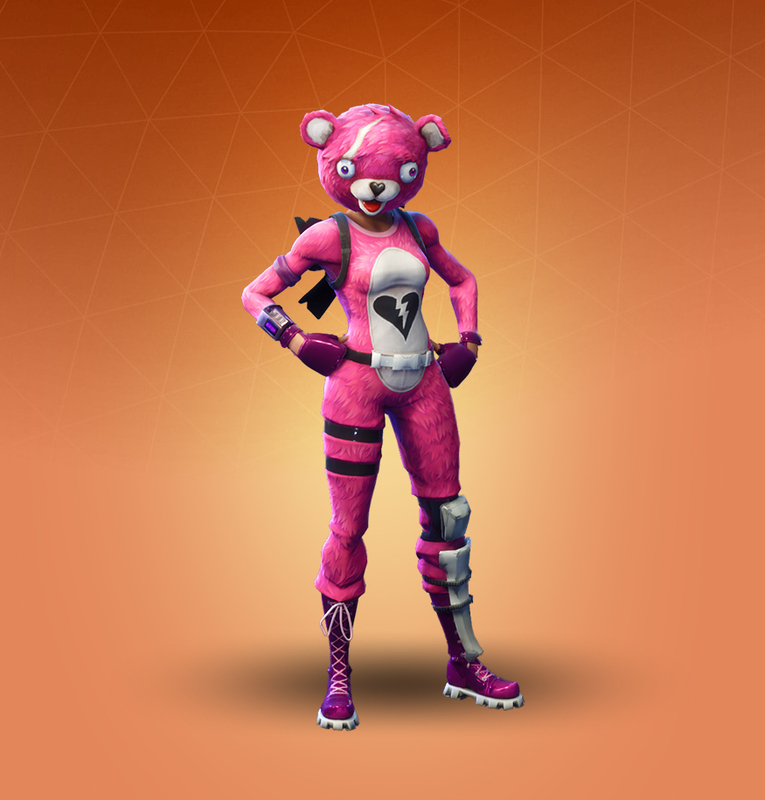 Cuddle Team Leader strikers an impressive balance. It manages to be both cute and pretty terrifying at the same time, depending on how you look at it. Give it a crazy Back Bling of weapons or explosives, and that gormless face starts to look the features of a mad person. 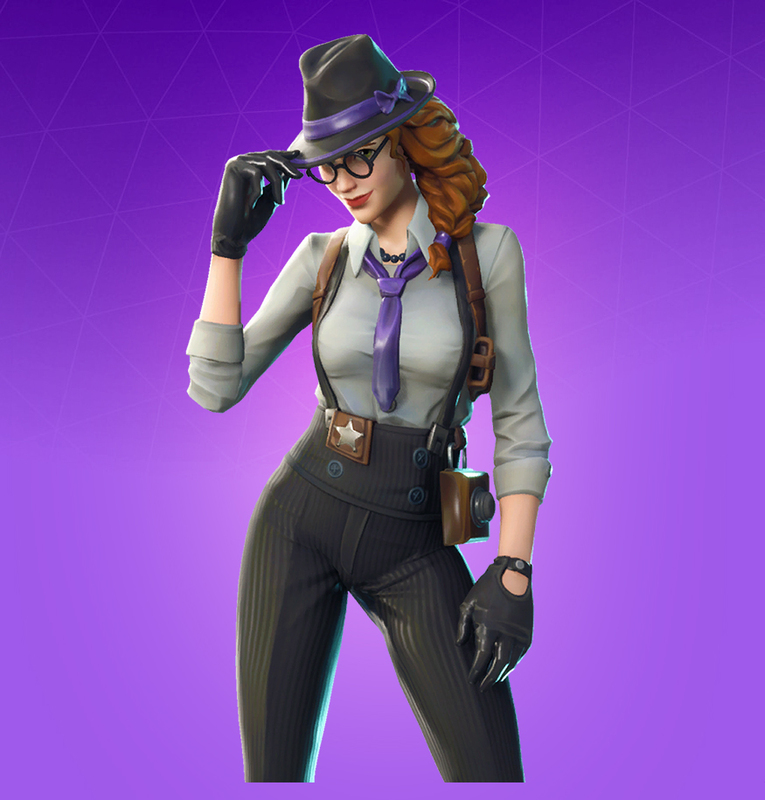 Gumshoe was added into Fortnite in early July 2018, and as far as themed skins go, she has a pretty impressive look to call her own. For one, she has the whole "private detective" look locked down, almost like she walked off the set of a noir film. Not to mention, Fortnite's female characters haven't gotten a sleek look to call their own quite yet until Gumshoe arrived on the scene. This skin bridges the gap, making her a necessary pick for any player. Nitelite may be an Uncommon skin, but don't judge her by her rarity. 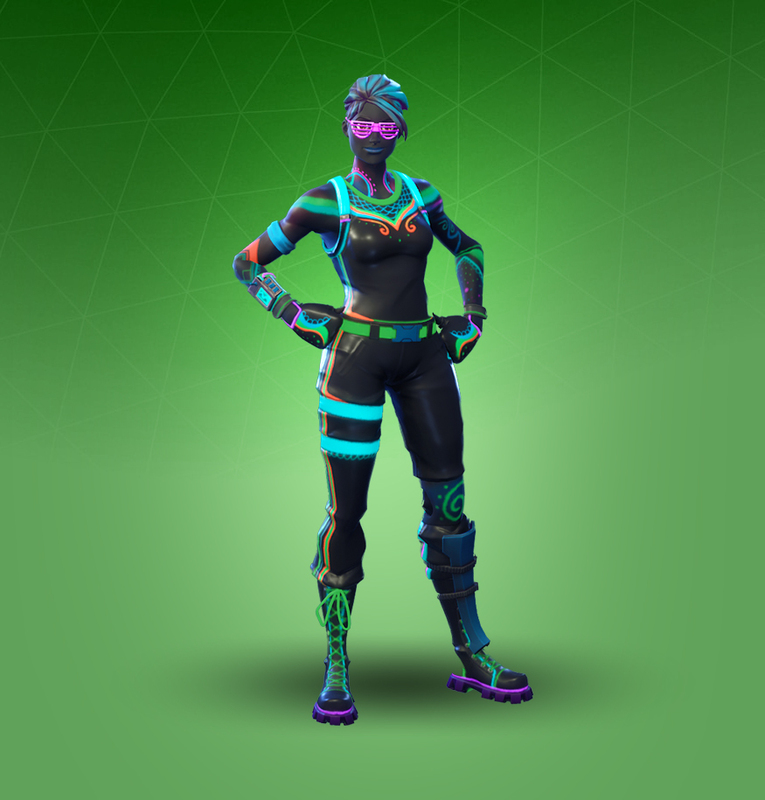 Along with her counterpart Liteshow, both skins are easily the coolest Uncommon outfits ever released. Unlike the Save the World and military theme seen with most Uncommons, Nitelite is a striking figure on the battlefield—especially when she's using a dance Emote at night. Why is Power Chord so cool? There's so many reasons why. She looks like a punk rocker for one, and in a good player's hands, she acts like one on the battlefield too. 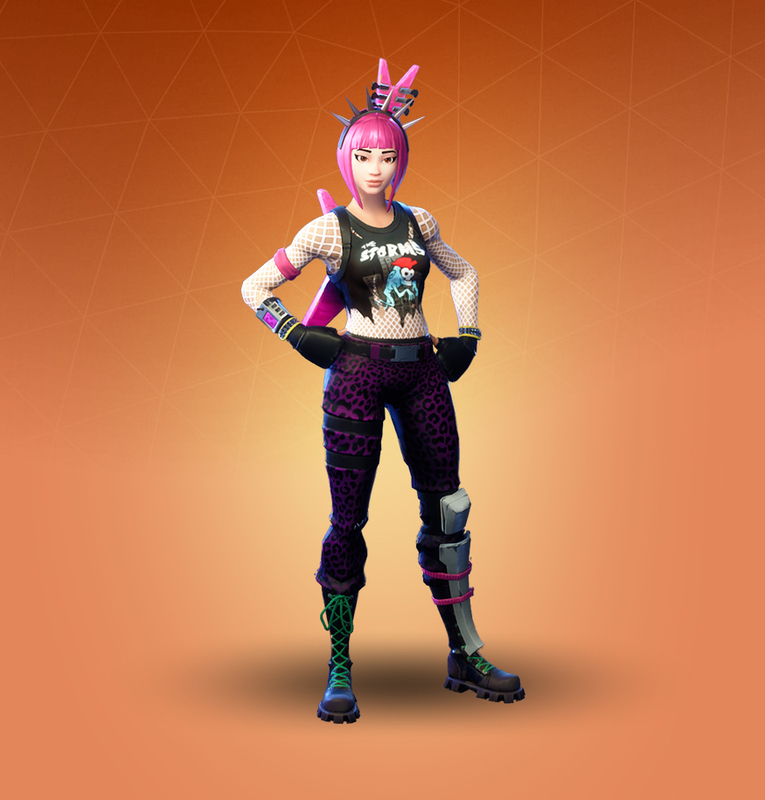 There aren't many other Fortnite skins that look as killer as this girl's outfit, and with her Six Strong Back Bling, Power Chord is an easy choice for a Legendary skin on the Item Shop. How can we forget Raven? Loved by new players and veterans alike, Raven is a skin to be feared. This outfit is a personal favorite for many in part because of Raven's menacing stare and all-black outfit. Be warned, it's hard to pick him up on the Item Shop—he's made just five appearances in the store since his introduction. 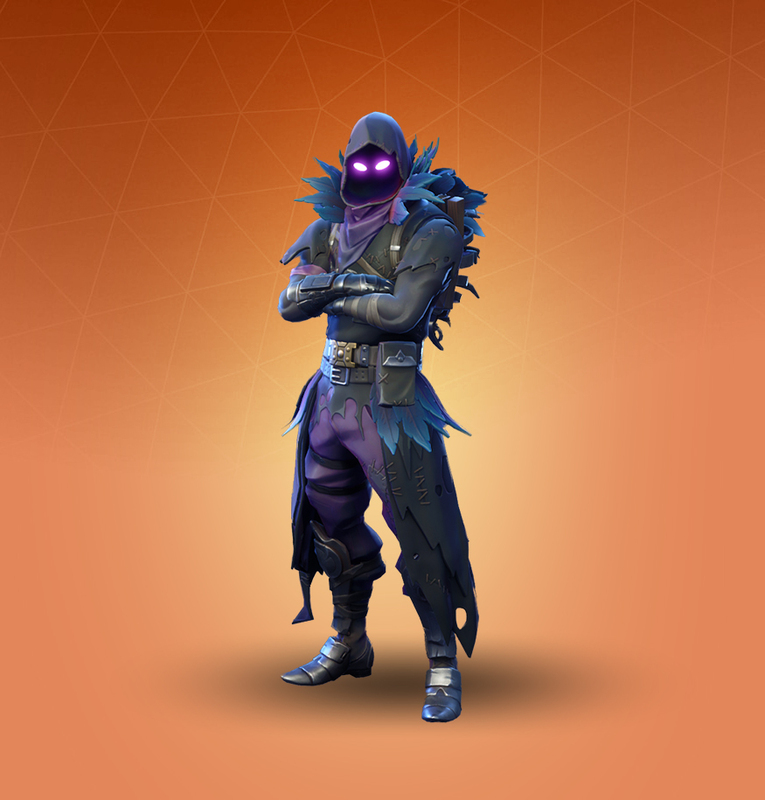 But as far as Legendary skins go, Raven is a must-have. The Reaper is probably the closest skin yet to an explicit pop culture figure. 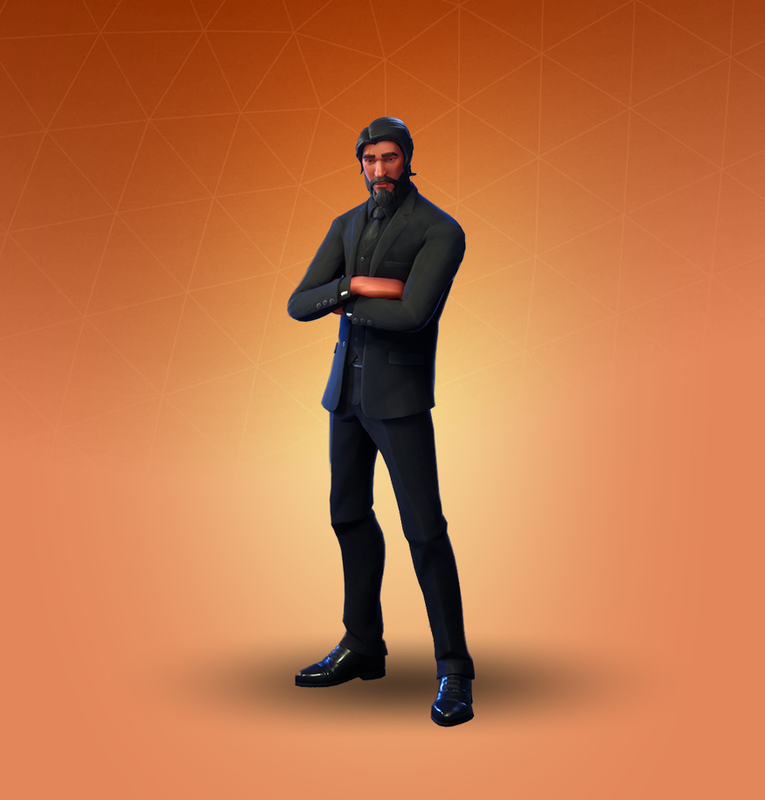 He's also affectionately referred to as John Wick by fans because, well, he looks like John Wick. This was the reward for maxing out the season three Battle Pass, so it serves as not just a cool skin—it's a sign you take the game very seriously. 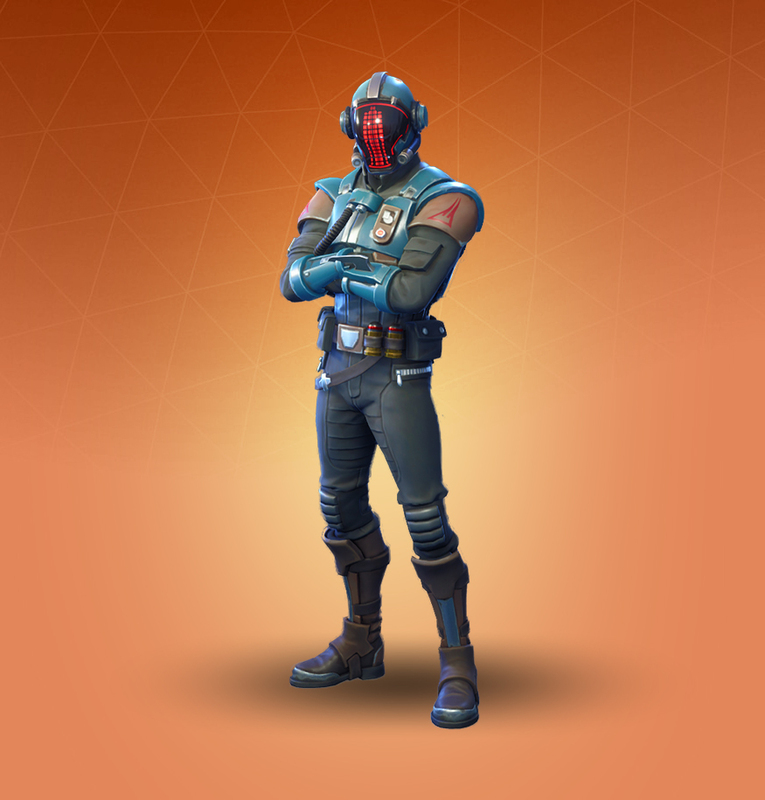 Objectively speaking, The Visitor is cool. That's just a fact. Available to players who complete the Season 4 Blockbuster Challenges, The Visitor features sci-fi armor and even has a customizable mask. That means players can throw a Crosshair on their face, turn their head into a Visualizer, or just walk around with a goofy smile while sniping from afar. The choice is yours, making The Visitor a great pick. There's something about Zoey that's just so cool. Maybe it's her hair color, or her outfit, or her name, or all of those things together. 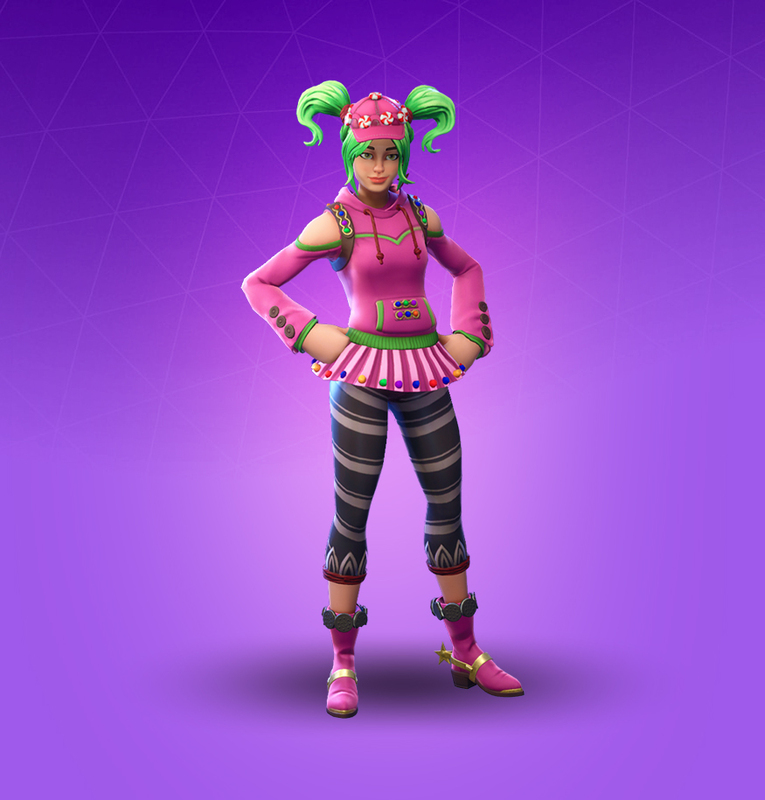 But either way, Zoey is zany, and that makes her one of the best skins in Fortnite, especially when it comes to the game's female characters. If you earned her as a Battle Pass reward, then be proud to wear her everywhere, even if she is relatively common on the battlefield. Ana Valens contributed to this piece.